There are tons of different ways to cook ribs. Boiling them with spices and then tossing them on the BBQ grill is my favorite way. I like ribs where the meat falls of the bone, but is also char grilled a bit. Pre-boiling ribs is the easiest way to get tender meat. (1) Place ribs, seasoning and onion in a large pot with enough water to cover them. Season the water with garlic powder, black pepper and salt. (2) Bring water to a boil, and cook ribs until tender about 45 minutes to an hour. (3) Brush ribs with BBQ sauce and grill a few minutes per side until browned to your liking. 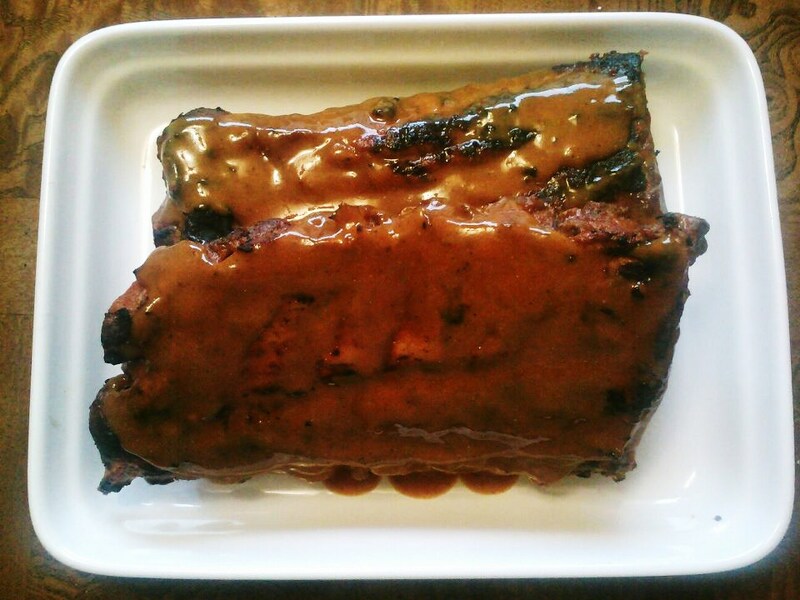 (4) If you like a wet rib - brush with additional BBQ sauce after cooking. Tips: If you are entertaining etc., you can boil your ribs ahead of time and them let them marinate in a plastic bag with BBQ sauce for several hours. All you will need to do when company arrives is to throw the already cooked ribs on the barbecue grill for a few minutes per side. This will warm then up and give them that great smoky flavor.